At Loughborough Studios we welcome everyone from the age of 6 yrs and upwards, from beginner to advanced. Guitar lessons are available for electric guitar, acoustic guitar, and bass guitar. 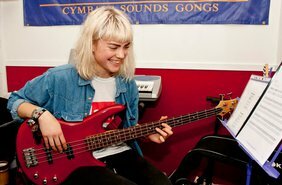 Lessons are held weekly at the studio in our fully equipped practice rooms. 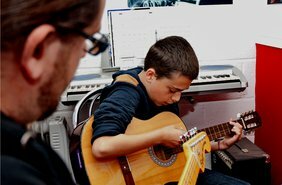 Our guitar students are also welcome to attend our "Band Jam" music workshops held at the studio. 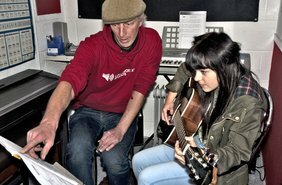 Our students are welcome to learn to play just for fun or to follow the RockSchool syllabus in preparation for graded examinations.